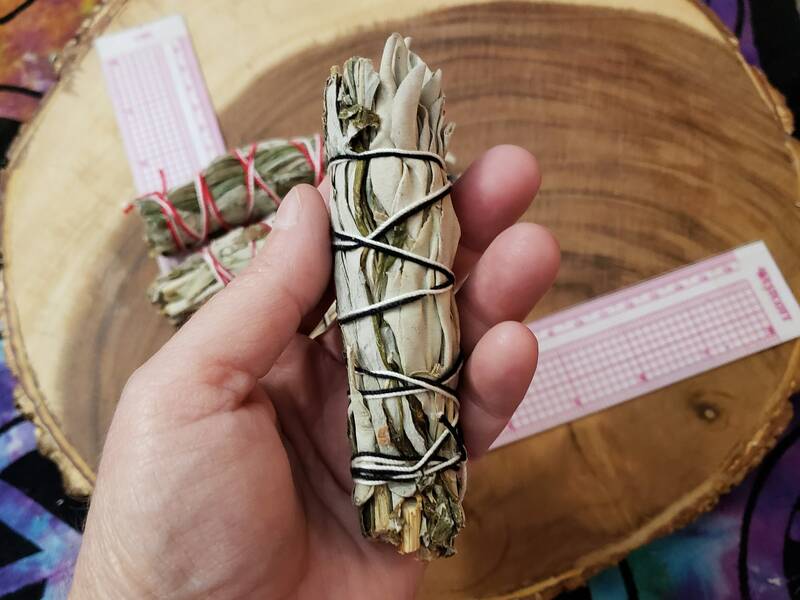 Black Sage ~ Artemisia vulgaris ~(aka Dream Weed, Mugwort, Magical Sage) is found in the mountains of the West Coast from Northern California through British Columbia. 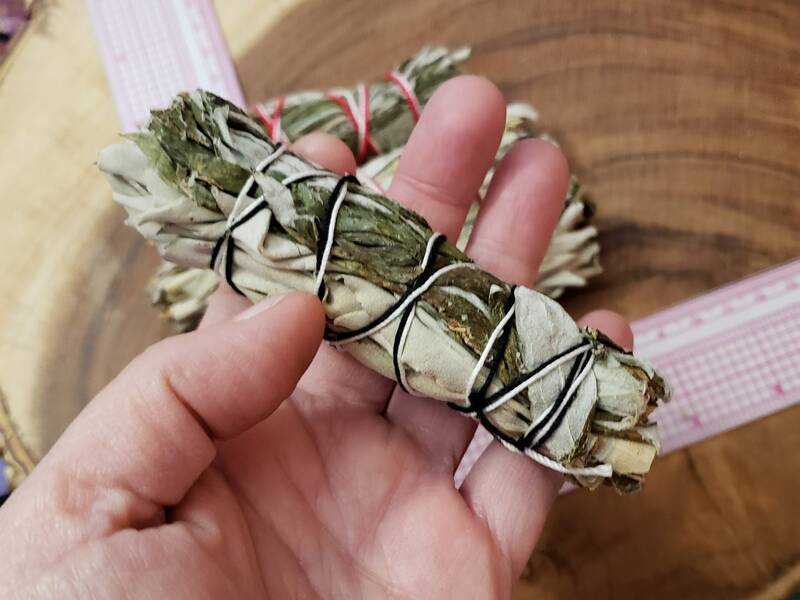 It is renowned as a smudging herb for its subtle, sweet scent and dream-inducing qualities. 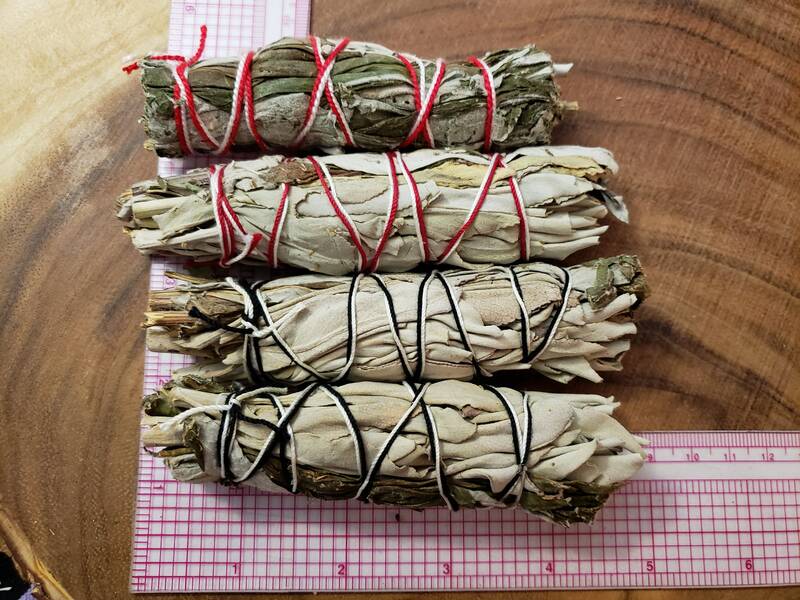 Used for protection, repelling insects, and to protect travelers against evil spirits and wild animals. 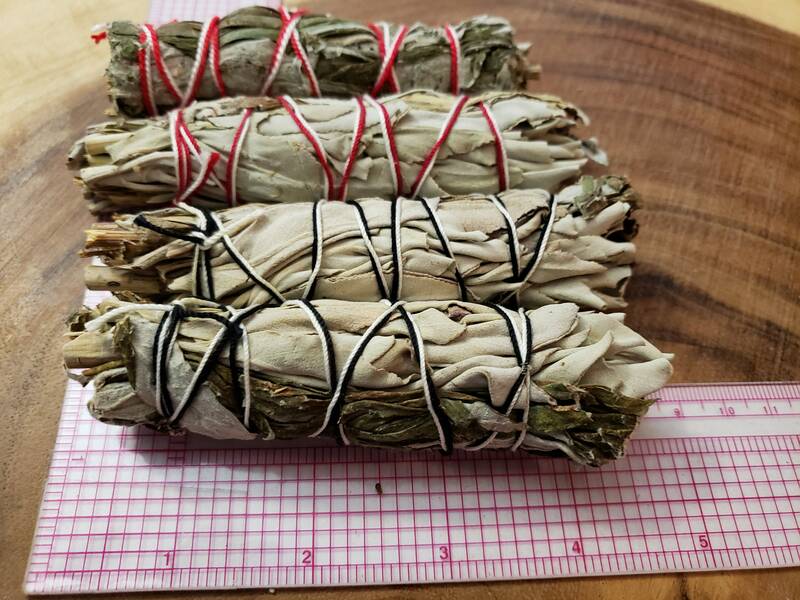 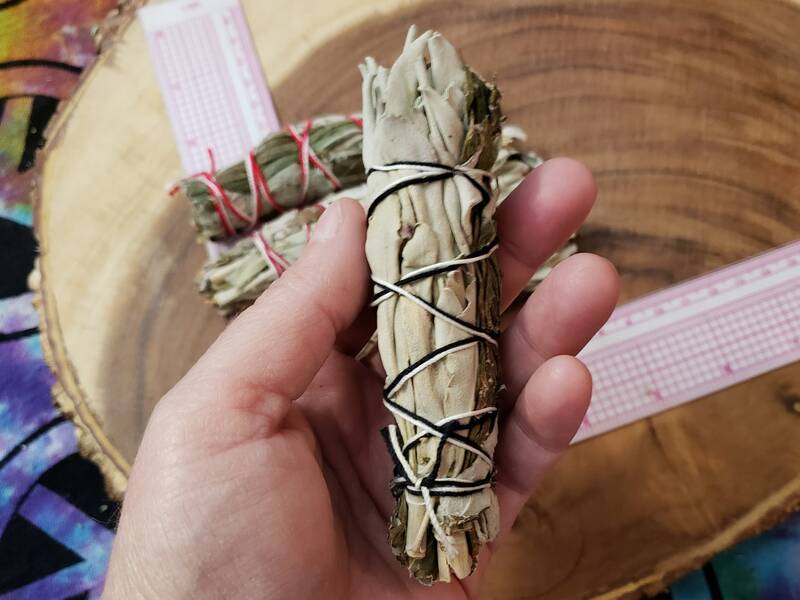 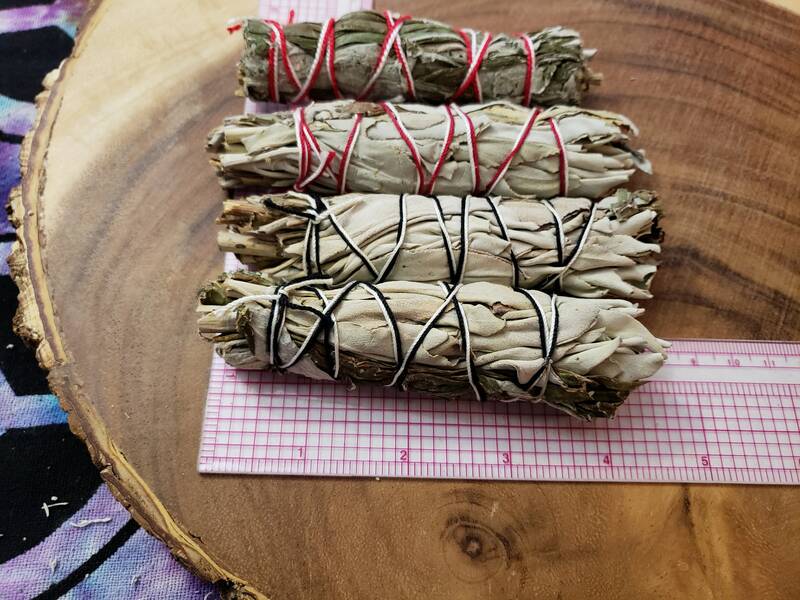 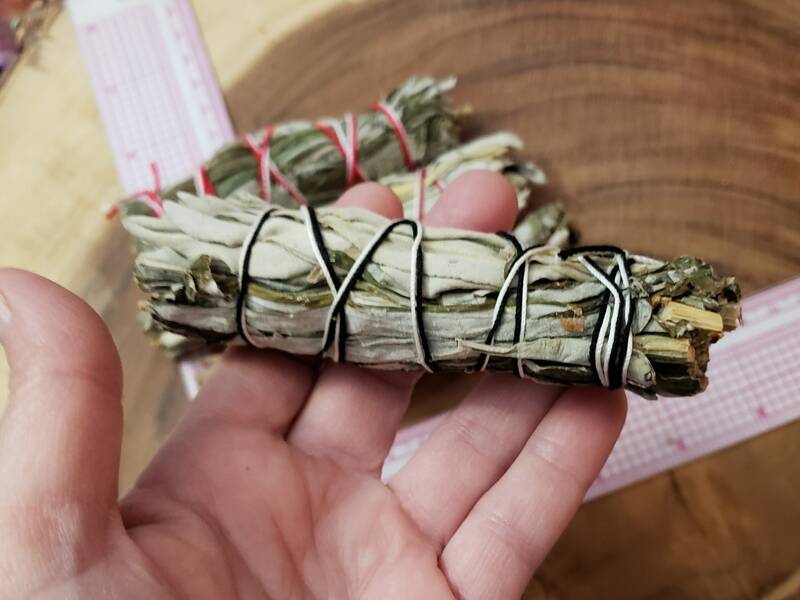 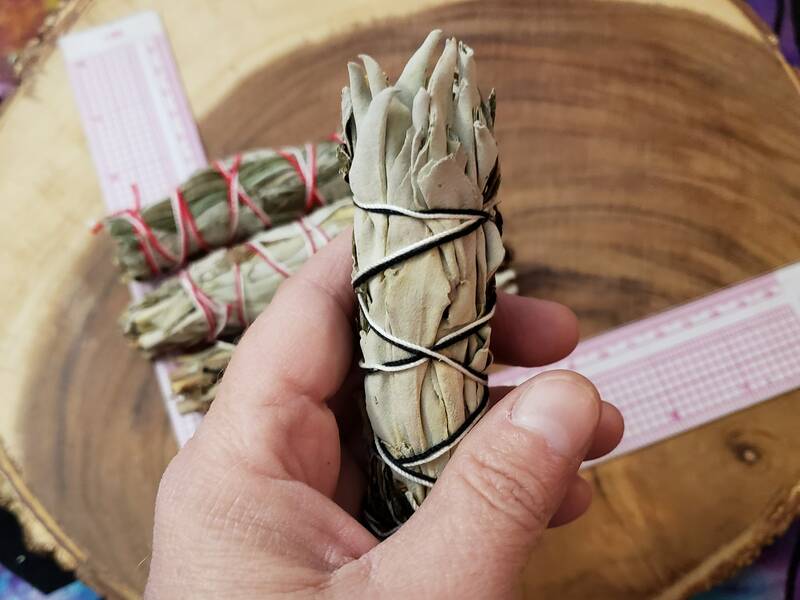 White Sage ~ Salvia Apiana ~ Used for cleansing & purification. 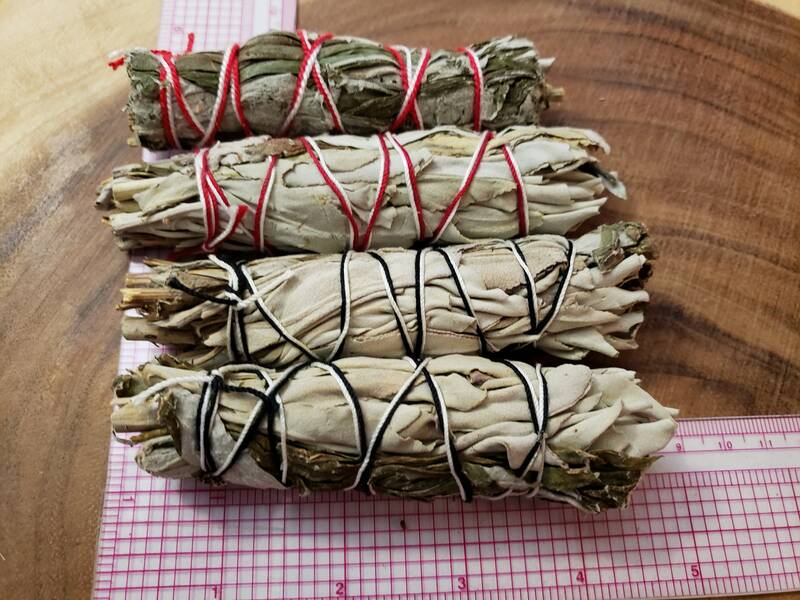 Native to the southwestern United States and northwestern Mexico, found mainly in the coastal sage scrub habitat of Southern California and Baja California, on the western edges of the Mojave and Sonoran desert.